The family friendly De Hoop Nature Reserve is ideal if you are embarking on a self-drive holiday along the Garden Route or simply looking for a relaxing nature filled break from daily life. 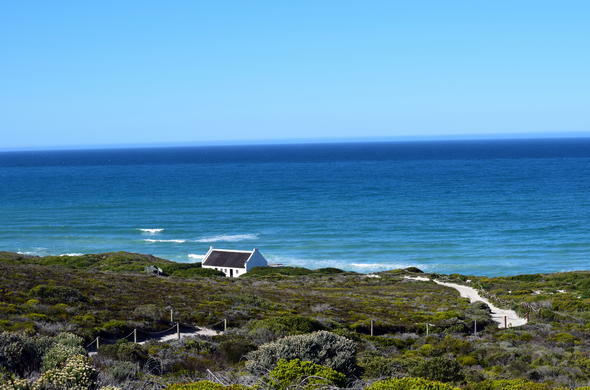 De Hoop Nature Reserve along the Garden Route offers you a full outdoor experience with the sea, sand dunes, fynbos and mountains surrounding you. You will also spot some roaming wildlife like the Cape mountain zebra and eland to name a few. Choose from a variety of accommodation types from affordable self-catering cottages to fully catered luxury suites. The self-catering cottages offer family friendly accommodation at De Hoop Nature Reserve and some of the luxury suites are ideal for a romantic getaway. There are a variety of activities at De Hoop Nature Reserve for families and nature lovers alike. Explore the diverse landscapes on guided and self-guided hikes, bike rides and marine walks. Laze on the beach or venture out snorkelling exploring many of the turquoise rock pools. Watch the sunset with a drink in hand on an afternoon boat cruise on the De Hoop wetlands. For some pampering treat yourself to a spa treatment at De Hoop Spa. De Hoop offers some of the best land based whale-watching in South Africa. Sit on the sand dunes and watch the Southern Right Whales come close to shore and be in awe of the beautiful creatures. From May to November almost 500-600 whales will find a home at De Hoop. The Fig Tree Restaurant in the Opstal area is open all day for breakfast, lunch and dinner. We recommend enjoying at least one meal at the restaurant. The delicious South African meals are freshly prepared with local produce. Picnic baskets can also be ordered. The restaurant is licensed and serves some excellent South African wines. After a busy day return to your De Hoop Nature Reserve accommodation and get a fire going and roast some marshmallows over smouldering coals while gazing at the star studded night sky. The Opstal main area is where you will find the most amount of family friendly accommodation and facilities. The hub has a restaurant, deli and a basic shop. The shop sells curious, snacks and limited food supplies only. So if you are self-catering make sure you stock up on your supplies at the nearest town an hour away. At Opstal you will also find a swimming pool, boules court and tennis court. There will never be a dull moment at this South African nature reserve. The remote Melkkamer at De Hoop Nature Reserve is about 40min drive on a gravel road from the main Opstal area. Staying at Melkkamer is ideal if you want to have privacy and want to escape to a bygone era. There is no electricity but all appliances are gas powered and a generator is available at predetermined times.